Why Psychopaths Sometimes Succeed, and How You Can Too! 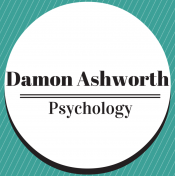 Posted byDr Damon Ashworth	 March 8, 2016 May 8, 2018 Leave a comment on Why Psychopaths Sometimes Succeed, and How You Can Too! Q: What do James Bond, Dexter Morgan, and Hannibal Lecter all have in common? Apart from being fictitious characters, they are all fascinating to their millions of fans, and they are all Psychopaths. They all kill without any remorse and do what is required to be done to get what they want. The main difference is that Bond does not break the law and has a moral code, killing for The Queen and His Country. Dexter breaks the law but follows his moral code, and kills other serial killers for society and the city of Miami’s benefit (most of the time anyway). Hannibal breaks the law and has no moral code, killing whomever he pleases, especially those with poor manners. Psychopathy, like most things in life, exists on a continuum. While the dangerous psychopaths, such as serial killers, get the most press and infamy, there are many seemingly successful people out there in society who display many of these same psychopathic personality characteristics, without the lawbreaking behaviours. Cooke and Michie (2001) argue that psychopathy only incorporates three correlated factors, including the interpersonal, affective and lifestyle factors, disregarding the antisocial features that are commonly thought to be a core factor of psychopathy. Conversely, Hare (2003), the author of the Hare Psychopathy Checklist that is typically used to diagnose Psychopaths, believes that these antisocial characteristics are an essential element and a fourth factor that is necessary for the diagnosis of psychopathy. They may be the company CEO, who is able to make the tough call to buy out another company for millions of dollars or fire a hundred staff members in the afternoon without batting an eyelid. It could be the Special Forces Agent who is able to assassinate an enemy without feeling any fear or remorse. Or it could be the neurosurgeon who is able to keep a steady hand and relaxed mind even though they know that one wrong move can potentially lead to permanent brain damage or death for the patient. Whatever their role, they are able to focus on the task at hand and do what needs to be done in any given moment because it is in their best long-term interest as well as their group, company or organisation and/or the customer, shareholder or patients. Dr Kevin Dutton and Andy McNab refer to these individuals as ‘Good Psychopaths’, and in their book ‘The Good Psychopath’s Guide to Success’, they believe that many lessons can be learned from these individuals that can help all of us to get the most out of our lives. The following list is traits that Good Psychopaths have that anyone can develop and train over time. Good Psychopaths do what is needed, and go for what they want. They know how to win, and switch on when it matters most and the pressure is on. They get things done when they say they will rather than putting things off and procrastinating. Procrastination uses up a lot of mental resources and is an emotional coping strategy wrongly applied to a practical task. It drains willpower quickly, which is a finite resource. Good Psychopaths instead focus on the reward that comes from completing the job and are motivated by this. They don’t try to waste time being afraid or providing reasons for why they haven’t done it yet. They just do it. Good Psychopaths are not deterred by failure or the punishment of making mistakes and instead focus on the rewards of success. They step up and nail it when the pressure is on and when it really counts. Good Psychopaths have immense self-belief and act as their own person regardless of what everyone is doing or what everyone else wants them to do. They know everyone can’t be pleased, and therefore focus on what is under their control and likely to make them happy. They don’t care if they stand out from the crowd and never vote against themselves. Good Psychopaths take it on the chin when they have done something wrong, focus on what they did well, accept the consequences, and then do what needs to be done rather than beat themselves up with self-criticism, guilt or shame. They don’t have regrets and see every mistake as a minor setback and an opportunity to learn, rather than an unchangeable character flaw that they will never be able to overcome. Once they have learned what they can from their mistake and accepted the consequence, they make a plan to not repeat the same mistake again, and then let it go. Good Psychopaths do not get stuck in obsessing over what went wrong and wishing that they could turn back time. Once their plan is in place to prevent committing the same error in a similar situation in the future, they move forward, live in the present, and do what is best for themselves. Good Psychopaths have a fantastic capacity to just focus in on what is essential to any conclusion that they have to make. They think about the pros and cons rationally and give an accurate weighting to each of these factors. They then make a decision after an allocated period of time and stick to this decision resolutely for an allotted period of time moving forward rather than continuing to think about the pros and cons or doubting themselves. If more information presents itself later that might indicate that another option is better, they determine once again what the best decision is to make after an allocated period of time and then stick to this decision resolutely. Good Psychopaths study people and know how to persuade others to get what they want. They are able to get inside the mind of others and think what they think or feel what they feel. The main difference is that they can switch off their emotions and empathy when needed too, depending on what will benefit them the most in any given situation. In mock business scenarios, Good Psychopaths make way more money than usual participants when negotiating because they aren’t bothered by another party’s attempt to screw them over, and continue to make the right rational choice that will serve them best in the long-term. This is in comparison to most ordinary people, who will respond in kind when someone has been unfair towards them in a negotiation, even if it means that they are worse off in the long run. A Good Psychopath doesn’t care about what is fair or who is winning, they only care about what is going to be best for them. Good Psychopaths are not ruled by emotion and know that they can feel one way, but act in another. They use feelings as a guide for behaviour when they are helpful, and disregard them when they are not. They have “ice in their veins” when the going gets tough, and switch off the emotional response and physiological symptoms that come with anxiety, allowing them to remain calm and perform at their best, even while everyone around them crumbles under pressure. The best way for non-psychopathic individuals to develop these traits* is through a practice called Mindfulness Meditation, as well as through learning the various interventions that are available through Cognitive Behavioural Therapy. The more that we can learn to utilise non-judgmental, open and present-focused awareness, as well as plan, set goals, and reason, the more likely we are to develop and apply the positive qualities that Good Psychopaths have, without having to suffer from any of their deficits. If you would like to learn these skills further, please make an appointment to see a Psychologist. *Disclaimer: In no way am I saying that being a Psychopath is a desirable outcome. However, it is no secret that these individuals are sometimes wildly successful, especially in our Capitalist Society. By understanding how Good Psychopaths work and learning the same skills that help them to get ahead, we will offset any of the natural benefits that they have, and hopefully, eclipse them in any areas that they are weak (e.g. genuine feelings and concerns for others). This will potentially reduce the overall suffering that these individuals can inflict upon society by limiting their power.